IISD Reporting Services, through its ENB+ Meeting Coverage, has produced a summary report of the “Global Soil Week 2015: Soil. The Substance of Transformation.” in HTML and PDF format. The Third Global Soil Week – a multi-stakeholder platform for sustainable soil management – will take place from 20-23 April 2015 in Berlin, Germany. Held during the 2015 UN International Year of Soils, the meeting highlights the important role of soils for sustainable development and in implementing the post-2015 development agenda. The meeting will assess whether current patterns of soil management will exceed biological and physical limits and how soils can be managed sustainably and equitably while ensuring food security and access to fertile land for the poor. The Global Soil Week is a collective process and a knowledge platform for sustainable soil management and responsible land governance worldwide. It brings together high-level decision-makers, scientists, civil society representatives and artists from a wide range of professional and cultural backgrounds. 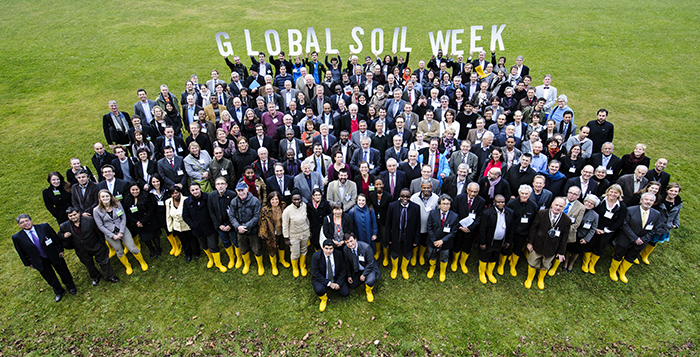 The Global Soil Week is convened by the by the Institute for Advanced Sustainability Studies (IASS) and its partners, FAO, UNEP, UNCCD, the International Union of Soil Sciences (IUSS), the European Commission, The German Federal Ministry for Economic Cooperation and Economic Development (BMZ), Deutsche Gesellschaft für Internationale Zusammenarbeit (GIZ), and the German Environment Agency (Umweltbundesamt – UBA).